Since creating The Swig & Filly we have had the pleasure in meeting some of the most fantastic, hard-working, creative and like-minded business owners. 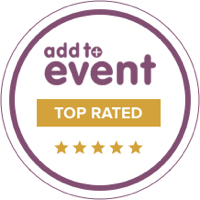 As it is a question we are often asked, we have created this page to recommend a few of these to anybody who is looking to create their own special occasion, be it a wedding, birthday, anniversary or party of any kind. Tipis 4 Hire have been providing beautiful tipis for eleven seasons, working at over 900 weddings and events in this time. They Specialise in creating sumptuous and memorable spaces filled with character, warmth and a distinctive atmosphere. Their incredibly helpful and accommodating staff going above and beyond to help create a perfectly unique pop up venue. Quite simply one of the most stunning wedding venues in Hertfordshire. At Brook farm you have exclusive use of their stunning location and a marquee/tipi/yurt of your choice will then be erected. This is adjacent to a beautiful lake which has a walkway over to an islandgiving the wow factor that we all secretly want on our big day. Sophie Lake is a freelance photographer and retoucher based in Hertfordshire. She offers relaxed, creative and fun photography of weddings but also produces stunning fashion/beauty and lifestyle/interior photography. Her incredibly warm and friendly personality helps her fit in perfectly with your special occasion to provide amazing, natural and creative images. Located on the Historic cobbled High Street of Old Town, Hemel Hempstead. HALO & WREN provides wedding apparel for the effortlessly cool bride. With a thoughtfully curated selection of designers and a fun,unpretentious vibe, they offer a fresh alternative to mainstream bridal salons. Tring Buzz have supported us and many other independent businesses by being exactly what social media should all be about. Katy produces fantastic features and blogs about incredible local businesses and happenings within the Tring area. Even if you are not from the area, the blog is certainly one that shouldn't be missed. Matthew is a wedding and lifestyle portrait photographer based near Tring, Hertfordshire. Getting to know you is at the heart of what he does, creating a relaxed photography experience that captures joyful, honest images of people in love and the little moments shared between loved ones. Gilly Flower have planted beautiful cutting gardens just outside Berkhamsted where they grow the flowers to use in their floristry. Everything is grown to organic principles, and the garden teems with birds, bees, and beneficial insects. Their flowers are a perfect addition to any occasion and we particularly love their deliciously natural wedding flowers that are availvble throughout the Home Counties and London. Pitching camp on the boundary between classic and contemporary gins, Puddingstone Distillery produce their award-winning Campfire Gin in small batches. Ten carefully selected botanicals, including rich coffee cherry, sweet, fresh orange, hazelnut and piney juniper are distilled with the finest UK wheat spirit. The result is a gin that leads with a citrus nose and juniper palate, has a rich middle and sweet end that builds, sip, after sip, after sip. We love nothing more than serving local produce, especially when its a product we truly believe is out of this world.